Sidney Arthur Lumet (/luːˈmɛt/ loo-MET; June 25, 1924 – April 9, 2011) was an American director, producer, and screenwriter with over 50 films to his credit. He was nominated five times for the Academy Award: four for Best Director for 12 Angry Men (1957), Dog Day Afternoon (1975), Network (1976), and The Verdict (1982) and one for Best Adapted Screenplay for Prince of the City (1981). He did not win an individual Academy Award, but he did receive an Academy Honorary Award and 14 of his films were nominated for various Oscars, such as Network, which was nominated for ten, winning four. A member of the maiden cohort of New York's Actors Studio, Lumet began his directorial career in Off-Broadway productions, then became a highly efficient TV director. His first movie, 12 Angry Men (1957), was a courtroom drama centered on tense jury deliberations. Lumet subsequently divided his energies among other political and social drama films, as well as adaptations of literary plays and novels, big stylish stories, New York-based black comedies, and realistic crime dramas, including Serpico and Prince of the City. As a result of directing 12 Angry Men, he was also responsible for leading the first wave of directors who made a successful transition from TV to movies. 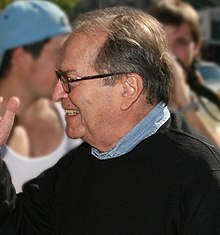 In 2005, Lumet received an Academy Award for Lifetime Achievement for his "brilliant services to screenwriters, performers, and the art of the motion picture." Two years later, he concluded his career with the acclaimed drama Before the Devil Knows You're Dead (2007). A few months after Lumet's death in April 2011, a retrospective celebration of his work was held at New York's Lincoln Center with the appearance of numerous speakers and film stars. 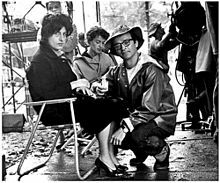 In 2015, Nancy Buirski directed By Sidney Lumet, a documentary about his career, and in January 2017 PBS devoted its American Masters series to Lumet's life as a director. Lumet was born in Philadelphia but he grew up in the Lower East Side neighborhood in New York. He studied theater acting at the Professional Children's School of New York and Columbia University. Lumet's parents, Baruch and Eugenia (née Wermus) Lumet, were both veterans of the Yiddish theatre, and were Polish Jewish emigrants to the United States. His father, an actor, director, producer and writer, was born in Warsaw. Lumet's mother, who was a dancer, died when he was a child. He made his professional debut on radio at age four and stage debut at the Yiddish Art Theatre at age five. 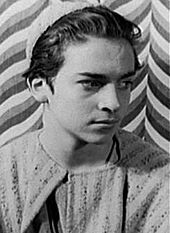 As a child he also appeared in many Broadway plays, including 1935's Dead End and Kurt Weill's The Eternal Road. World War II interrupted his early acting career and he spent three years with the U.S. Army. After returning from service as a radar repairman stationed in India and Burma (1942–1946), he became involved with the Actors Studio, and then formed his own theater workshop. He organized an Off-Broadway group and became its director, and continued directing in summer stock theatre, while teaching acting at the High School of Performing Arts. He was the senior drama coach at the new 46th St. (Landmark) building of "Performing Arts' ("Fame"). The 25-year-old Lumet directed the drama department in a production of The Young and Fair. He also directed original plays for Playhouse 90, Kraft Television Theatre and Studio One, directing around 200 episodes, which established him as "one of the most prolific and respected directors in the business," according to Turner Classic Movies. His ability to work quickly while shooting carried over to his film career. Because the quality of many of the television dramas was so impressive, several of them were later adapted as motion pictures. His first movie, 12 Angry Men, originally a CBS live play, was an auspicious beginning for Lumet. It was a critical success and established Lumet as a director skilled at adapting theatrical properties to motion pictures. Fully half of Lumet's complement of films have originated in the theater. A controversial TV show he directed in 1960 gained him notoriety: The Sacco-Vanzetti Story on NBC. According to The New York Times, the drama drew flack from the state of Massachusetts (where Sacco and Vanzetti were tried and executed) because it was thought to postulate that the condemned murderers were, in fact, wholly innocent. However, the resulting controversy actually did Lumet more good than harm, sending several prestigious film assignments his way. Lumet died at the age of 86 on April 9, 2011, in his residence in Manhattan from lymphoma. When asked in a 1997 interview about how he wanted to "go out," Lumet responded, "I don't think about it. I'm not religious. I do know that I don't want to take up any space. Burn me up and scatter my ashes over Katz's Delicatessen." Sidney, let me say, is one of, if not, the most talented and professional men in the world...and acting in Network was one of the happiest experiences I have ever had...He's a really gifted man who contributed a good deal to my performance. Partly because his actors were well rehearsed, he could execute a production in rapid order, which kept his productions within their modest budget. When filming Prince of the City, for example, although there were over 130 speaking roles and 135 different locations, he was able to coordinate the entire shoot in 52 days. As a result, write historians Charles Harpole and Thomas Schatz, performers were eager to work with him as they considered him to be an "outstanding director of actors." The film's star, Treat Williams, said that Lumet was known for being "energetic"
He was just a ball of fire. He had passion for what he did and he "came to work" with all barrels burning. He's probably the most prepared director I've ever worked with emotionally. His films always came in under schedule and under budget. And everybody got home for dinner. Harpole adds that "whereas many directors disliked rehearsals or advising actors on how to build their character, Lumet excelled at both." He could thereby more easily give his performers a cinematic showcase for their abilities and help them deepen their acting contribution. 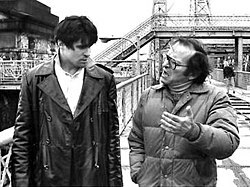 Actor Christopher Reeve, who co-starred in Deathtrap, also pointed out that Lumet knew how to talk technical language: "If you want to work that way – he knows how to talk Method, he knows how to improvise, and he does it all equally well." As a movie goes on, it gets more and more grueling and you really need a director who will help remind you where your character is at all times. Sidney Lumet was like that. All wonderful directors will do that. Joanna Rapf, writing about the filming of The Verdict, states that Lumet gave a lot of personal attention to his actors, whether listening to them or touching them. She describes how Lumet and star Paul Newman sat on a bench secluded from the main set, where Newman had taken his shoes off, in order to privately discuss an important scene about to be shot ... The actors walk through their scenes before the camera rolls. This preparation was done because Lumet likes to shoot a scene in one take, two at the most. Newman liked to call him "Speedy Gonzales," adding that Lumet did not shoot more than he had to. "He doesn't give himself any protection. I know I would," Newman said. Film historian Stephen Bowles notes that Lumet was most comfortable and effective as a director of serious psychodramas, as opposed to light entertainments. His Academy Award nominations, for example, were all for character studies of men in crisis, from his first film, Twelve Angry Men, to The Verdict. Lumet excelled at putting drama on the screen. Most of his characters are driven by obsessions or passions, such as the pursuit of justice, honesty, and truth, or jealousy, memory, or guilt. Lumet was intrigued by obsessive conditions, writes Bowles. An earlier example of psychodrama was The Pawnbroker in 1964, starring Rod Steiger. In it, Steiger played a Holocaust survivor whose spirit had been broken and lives day-to-day as a pawn shop manager in Harlem. Lumet used the film to examine, with occasional flashbacks, the psychological and spiritual scars Steiger's character lives with, including his lost capacity to feel pleasure. Steiger, who has made nearly 80 films, said during a TV interview that the film was his favorite as an actor. It was the social realism which permeated his greatest work that truly defined Lumet – the themes of youthful idealism beaten down by corruption and the hopelessness of inept social institutions allowed him to produce several trenchant and potent films that no other director could have made. He has steady themes: the fragility of justice, and the police and their corruption. Lumet quickly became esteemed ... [and he] got a habit for big issues – Fail Safe, The Pawnbroker, The Hill, – and seemed torn between dullness and pathos. ... He was that rarity of the 1970s, a director happy to serve his material – yet seemingly not touched or changed by it. ... His sensitivity to actors and to the rhythms of the city have made him "America's longest-lived descendant of the 1950s Neorealist tradition and its urgent commitment to ethical responsibility. Lumet always preferred to work in New York City and shunned the dominance of Hollywood. As a director he became strongly identified with New York City. "I always like being in Woody Allen's world," he said. He claimed that "the diversity of the City, its many ethnic neighborhoods, its art and its crime, its sophistication and its corruption, its beauty and its ugliness, all feed into what inspires him." He felt that in order to create it is important to confront reality on a daily basis. For Lumet, "New York is filled with reality; Hollywood is a fantasyland." He used New York City time and again as the backdrop – if not the symbol – of his "preoccupation with America's decline," according to film historians Scott and Barbara Siegel. Lumet was attracted to crime-related stories with New York City urban settings where the criminals get caught in a vortex of events they can neither understand nor control, but are forced to resolve. Sidney was a visionary film-maker whose movies made an indelible mark on our popular culture with their stirring commentary on our society. Future generations of film-makers will look to Sidney's work for guidance and inspiration but there will never be another who comes close to him. Someone once asked me what making a movie was like. I said it was like making a mosaic. Each setup is like a tiny tile (a setup, the basic component of a film's production, consists of one camera position and its associated lighting). You color it, shape it, polish it as best you can. You'll do six or seven hundred of these, maybe a thousand. (There can easily be that many setups in a movie.) Then you literally paste them together and hope it's what you set out to do. Lumet was married four times; the first three marriages ended in divorce. He was married to actress Rita Gam from 1949–55; to socialite Gloria Vanderbilt from 1956–63; to Gail Jones (daughter of Lena Horne) from 1963–78, and to Mary Bailey Gimbel (ex-wife of Peter Gimbel) from 1980 until his death. He had two daughters by Jones: Amy, who was married to P. J. O'Rourke from 1990–1993, and actress/screenwriter Jenny, who had a leading role in his film Q & A. She also wrote the screenplay for the 2008 film Rachel Getting Married. Lumet is one of the most important film directors in the history of American cinema, and his work has left an indelible mark on both audiences and the history of film itself. ^ a b c d e f ""TCM Biography"". Tcm.com. Retrieved 2017-01-04. ^ Garfield, David (1980). "Birth of The Actors Studio: 1947–1950". A Player's Place: The Story of the Actors Studio. New York: MacMillan Publishing Co., Inc. p. 52. ISBN 0-02-542650-8. Lewis' class included Herbert Berghof, Marlon Brando, Montgomery Clift, Mildred Dunnock, Tom Ewell, John Forsythe, Anne Jackson, Sidney Lumet, Kevin McCarthy, Karl Malden, E.G. Marshall, Patricia Neal, William Redfield, Jerome Robbins, Maureen Stapleton, Beatrice Straight, Eli Wallach, and David Wayne. ^ Messina, Elizabeth (2012). What's His Name? John Fiedler: The Man the Face the Voice. AuthorHouse. p. 42. ISBN 9781468558586. ^ Clark, John (2006-04-30). "New York City as Film Set: From Mean Streets to Clean Streets". The New York Times. ISSN 0362-4331. Retrieved 2019-03-22. ^ a b "Obituary: Sidney Lumet". BBC News. April 9, 2011. Retrieved April 10, 2011. ^ "Film Obituaries; Sidney Lumet". The Daily Telegraph. London. April 9, 2011. Retrieved April 10, 2011. ^ a b French, Philip (April 10, 2011). "Sidney Lumet, giant of American cinema, dies at 86 | Film | The Observer". The Observer. London: Guardian Media Group. Retrieved April 10, 2011. ^ "Finding Aid for the Baruch Lumet Papers, 1955-1983". Oac.cdlib.org. 2014-12-01. Retrieved 2017-01-04. ^ Honeycutt, Kirk (April 9, 2011). "Sidney Lumet Made New York City Star of His Films". The Hollywood Reporter. Retrieved April 10, 2011. ^ "Sidney Lumet Biography". Filmreference.com. Retrieved April 10, 2011. ^ a b c d e f g Bowles, Stephen E. International Dictionary of Films and Filmmakers, (2001) The Gale Group Inc.
^ "Sidney Lumet biography". Movies.nytimes.com. June 25, 1924. Retrieved April 11, 2011. ^ a b "Festival de Cannes: Long Day's Journey into Night". festival-cannes.com. Retrieved February 23, 2009. ^ a b Berkvist, Robert (April 9, 2011). "Sidney Lumet, Director of American Film Classics, Dies at 86". The New York Times. Retrieved April 9, 2011. ^ a b c "Director Sidney Lumet remembered by Hollywood stars". BBC. April 10, 2011. Retrieved April 10, 2011. ^ a b Gleiberman, Owen (April 9, 2011). "Sidney Lumet was the quintessential New York filmmaker, a prince of the city who captured our flawed souls". Entertainment Weekly. Retrieved April 19, 2011. ^ Gale, Thomson. "Sidney Lumet". Encyclopedia of World Biography. ^ "Q&A With 'Before the Devil Knows You're Dead' Director Sidney Lumet". New York. September 24, 2007. Retrieved April 10, 2011. ^ Sidney Lumet biography Archived August 14, 2006, at the Wayback Machine on AMCTV.com. Retrieved August 30, 2006. ^ "Sidney Lumet gets honorary Oscar". London: Guardian. December 16, 2004. Retrieved April 11, 2011. ^ "IMDB.com: Awards for The Group". imdb.com. Retrieved February 26, 2010. ^ "Berlinale 1964: Prize Winners". berlinale.de. Retrieved February 20, 2010. ^ "IMDB.com: Awards for That Kind of Woman". imdb.com. Retrieved January 10, 2010. ^ "7th Berlin International Film Festival: Prize Winners". berlinale.de. Retrieved December 28, 2009. ^ "Festival de Cannes: A Stranger Among Us". festival-cannes.com. Retrieved August 13, 2009.